We thrive on challenge and are recognized as leaders in our field. Give us a tough job and we’ll find the best way to accomplish it. 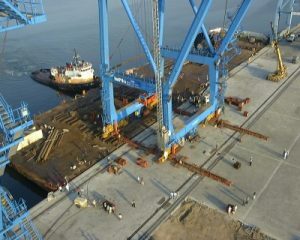 We’ll complete it on-time, on budget and with safety as a key component in our strategy. We achieve this through first class project management, field supervision, and a top-notch field crew, all backed up by the support of a skilled shop crew. Our work is demanding, with challenges a common occurrence. We handle these challenges with talented design and engineering, a first-class fabrication facility and dedicated employees who do whatever needs to be done to complete the job in a safe and economically efficient way. We assure quality through testing methods that include: finite element analysis, computer modeling and analysis, non-destructive testing, proof loading and pull-testing. Our CEO, Greg Nordholm, has his roots in the marine industry. As a naval architect and marine engineer, Greg began his career with a firm that specialized in barges, tugs and heavy lifts. It’s no wonder the Nordholm team has an affinity for the shipbuilding industry. While crane moves have become our bread and butter, we specialize in handling the type of watercraft that doesn’t lend itself to construction on a slipway. 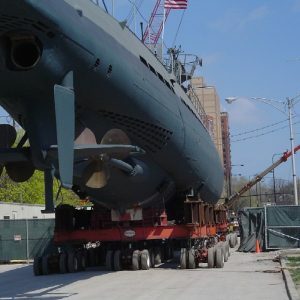 From launching ocean-class tugboats to mating the hull structures of both the Washington State & British Columbia ferries systems to the re-homing of the Chicago Science Museum’s U505 submarine and the installation of New York’s Willis Avenue bridge, we’ve done it all. We play an integral role in industries that use gigantic equipment every day. We facilitate the movement of massive sections and position them for welding or completion with absolute accuracy. Our considerable experience allows us to complete these tasks under extremely strict time limits, keeping the equipment in production as long as possible, for maximum economic efficiency. With over 40 years of providing reliable, quality and safe services in the heavy-lift industry, our company has earned its place as a nationally recognized leader. Our goal is to create and maintain long-term relationships based on trust and integrity. Our company’s workforce is comprised of hard-working, dedicate and knowledgeable employees – many that have been with Nordholm for decades. 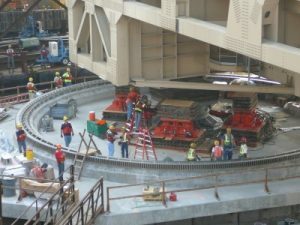 Nordholm’s experienced team views each heavy-lift operation as unique and works out a customized plan from start to finish. When challenges arise, our team works together to overcome them. Our goal is to always design the safest and most cost-effective path to project completion. Ships today are built larger than ever as are manufacturing facilities. This growth in size has greatly impacted our industry and our approach to projects. Shipyards, for instance, face size and space limitations, and the same is true for access points, depth of channels, bridge heights, etc. What this means is that these yards, facilities and finite spaces must be utilized to their highest and best use. Wasted space means wasted time – and time is the most precious resource. As a result, we see the need to build structures in more than one piece, with on-site coupling of multiple units. Complex projects like these require a well thought out master plan that schedules every step of the route. 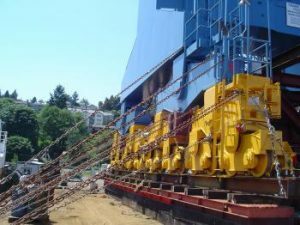 The Nordholm Group excels at optimizing all areas of a project, shipyard or land yard for scheduling effective and dynamic load-outs. Our ability to meet these challenges in an economically efficient manner is critical and that’s why we should be part of the project team as early as possible. Have a tough job? We’ll help you complete it on-time, on-budget and with safety as our ultimate goal.